Retford & Worksop Boat Club, Clayworth Wharf, Clayworth Common, Clayworth, Notts, DN22 9AJ. To access members information, please Login. 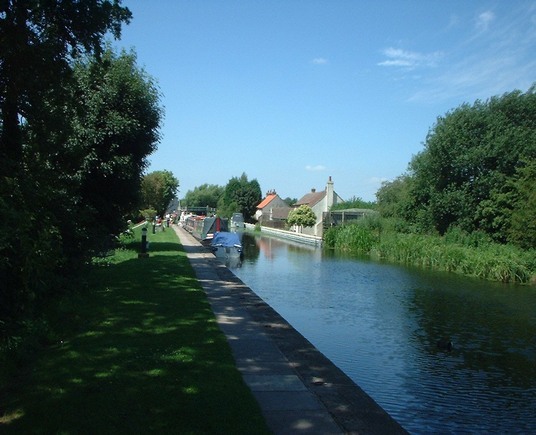 If you are looking for a peaceful and idyllic, safe country mooring at a reasonable rate and are prepared to join and contribute to the running and maintenance of the club, this might be the place for you. All moorings have an electrical connection and water close by. The clubhouse has a well stocked bar and social events take place at regular intervals. Prospective members are welcome to visit the club to view our facilities and chat to members, who would be happy to answer any questions. An application form can be downloaded from HERE, or collected from the Clubhouse. Prior to applying for membership prospective members should visit the club and talk to members.This will give them an insight into how the club is run, requirements for membership and the general ambience. Prospective members are required to submit an application form to the membership Secretary, this must be signed by a proposer and seconder from current members of the club. Names of prospective members will be displayed on the noticeboard for a period of 14 days. The prospective members will then be required to attend an interview with the membership sub committee at a mutually convenient time. On being accepted for full membership there is a joining fee and yearly subscription to pay. Once accepted as a member of the RWBC, a mooring request can be submitted to the Moorings Officer. If a mooring is available it may be allocated, or the members name may be added to the waiting list. New members should note that being member of the club does not guarantee that a mooring will be offered. If the requirements of holding a mooring are not fulfilled any offer of a mooring will be withdrawn. On being accepted as an Associate Member a yearly subscription is payable The member may then attend all aspects of the club social scene and also help with bar duties, work parties etc. Downloadable Information with pricing is HERE. Full joint membership: This shall include two partners and any child of the family under the age of 18 years. A joining fee is payable per couple and yearly membership fee per person. Full single membership: Which shall comprise one sole member and any dependant children under the age of 18 years. A joining fee is payable and yearly membership fee.They also have voting rights, mooring application rights and ability to sit on the management committee. Associate Membership: Which shall comprise one sole member, no joining fee is applicable, yearly membership fee is payable. An associate member has no voting rights, cannot hold a mooring and cannot sit on the management committee. They can participate fully in all other areas of the club.